James Brooks is my golf coach and he suggested I try his sample machine. Utterly Fabulous!! As a piano player, my hands are very important to me. I could not believe how wonderful this product made them feel. A MUST BUY!! I will suggest to all my allumni friends at Berklee College of Music! Ive been a Golf Pro for 30 years. I have hit over 1 million golf balls in my life. This is the first product that helps my hands wrists and forearms for complete pain relieve. I have tried many things over the course of my playing, teaching career.Nothing worked like this beautiful soak... I will be showing this to all my friends on the Sunbelt Senior Tour as well as friends that suffer everyday with pain... 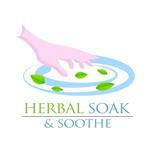 Thanks Herbal Soak Swirl & Soothe. Review Stream Powered by OMG National | © Copyright 2019. Herbal Swirl and Soothe. All Rights Reserved.